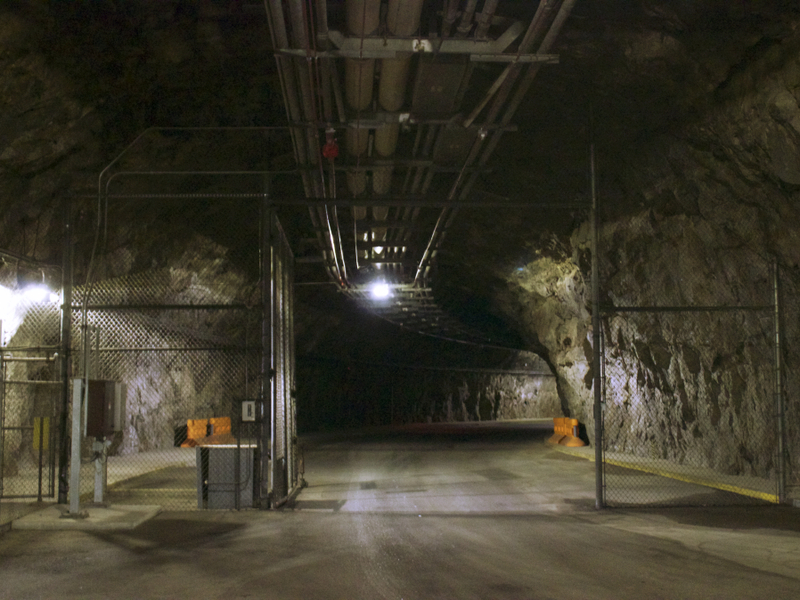 Maybe you’ve seen it in movies, maybe you’ve heard about it on the internet, but yes, Colorado is home to a top secret military facility inside a mountain. During the height of the Cold War in the late 1950s, the government decided to build a hardened command and control center as a defense against long-range Soviet bombers. That facility was built inside Cheyenne Mountain in Colorado Springs. While the facility was occasionally open for tours, that stopped after Sept. 11, 2001. However, 7NEWS got a rare tour inside and learned 13 secrets of the mountain. Secret No. 1: Cheyenne Mountain is still open for business. 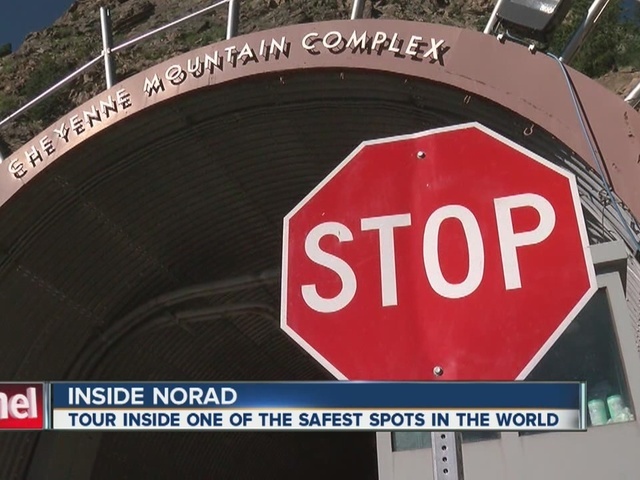 When the Cheyenne Mountain facility opened in the late 1960s, it was the NORAD Combat Operations Center. The mission was to watch for ballistic missile or air attacks against North America. 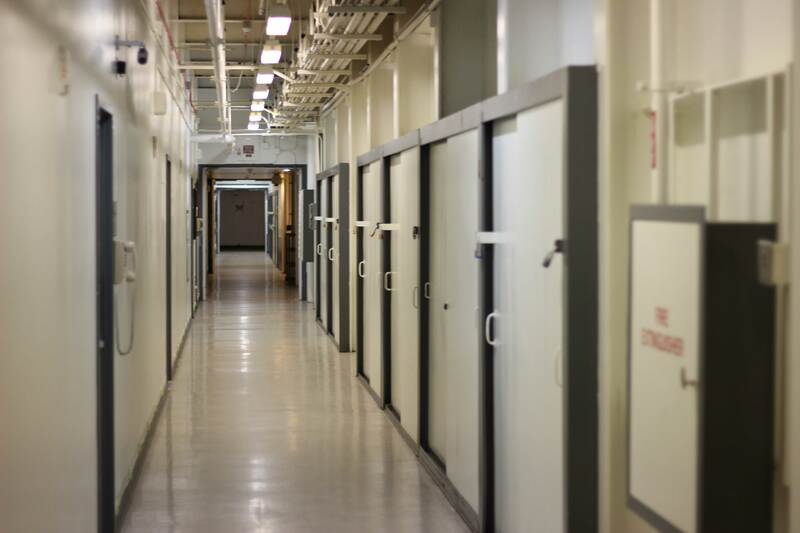 Over time, the mountain facility began housing other military operations including the U.S. Strategic Command, U.S. Air Force Space Command and U.S. Northern Command (USNORTHCOM). In 2006, NORAD and USNORTHCOM moved its main command center to Peterson Air Force Base -- 15 miles away -- and many thought Cheyenne Mountain was closed. 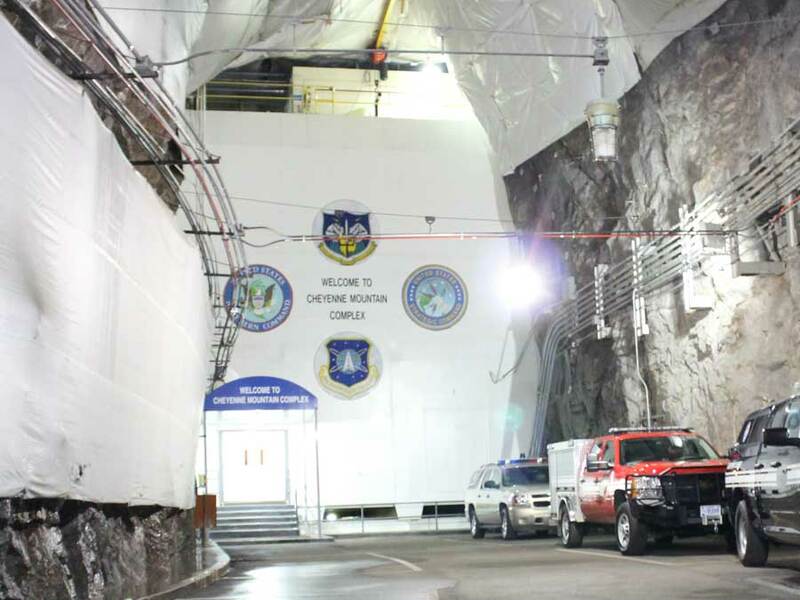 However, Cheyenne Mountain’s deputy director, Steven Rose, said the Cheyenne Mountain Complex is still NORAD and USNORTHCOM’s Alternate Command Center. And there are still more than a dozen government and Department of Defense agencies inside, some that he can’t publicly name. Secret No. 2: There are 15 buildings inside the mountain – 1 mile inside from the opening and 2,000 feet down from the top of the mountain. Workers can’t just walk inside to their offices, they have to take a bus. The office complex is made up of 13 3-story buildings and two 2-story buildings. The buildings are free-standing buildings connected by hallways and ramps inside. The buildings are on 1,300+ giant springs, and built 18 inches from the rock walls in the mountain, so they can move independently if there is an earthquake or a blast. Even the utility lines going in and out of the building are made to flex, just in case. "Water, sewage, anything going into these buildings has to flex with the bouncing as well,” Rose said. Secret No. 3: There were actually two possible sites for the mountain complex -- both in Colorado Springs. The sites were picked because of Colorado’s distance from the coasts (making an attack missile fly longer), because it’s the most seismic-sound area of Colorado (no earthquakes) and the government wanted a solid piece of granite with as few soft veins as possible (so it wouldn’t split apart in a blast), Rose explained. 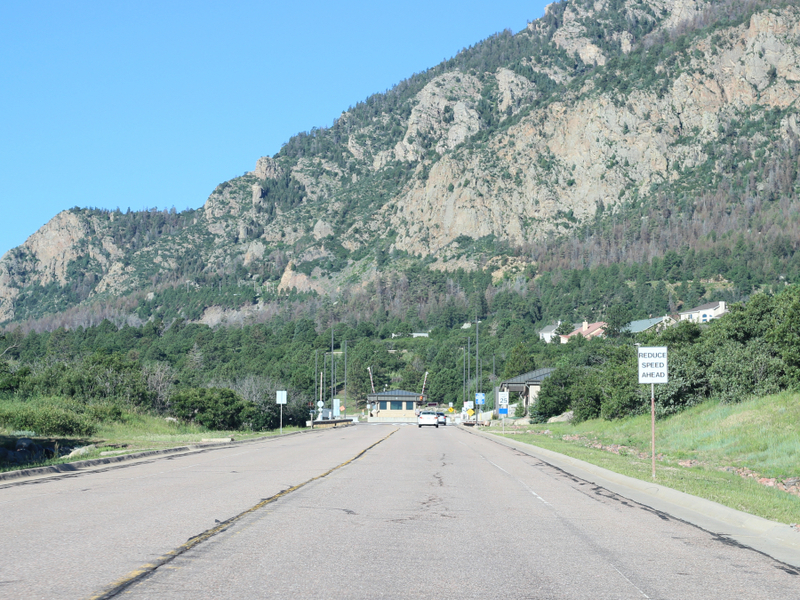 The government considered Blodgett Peak, near the Air Force Academy, and Cheyenne Mountain. The government chose Cheyenne Mountain because Blodgett has too many soft veins, Rose said. Secret No. 4: The 2-mile long main tunnel in the complex has a north portal and a south portal, but it’s not straight, it’s curved. Rose explained that if the main tunnel had been straight, it would have gone through the gold mines in Divide, Colorado. Instead, the tunnel curves inside the mountain. Secret No. 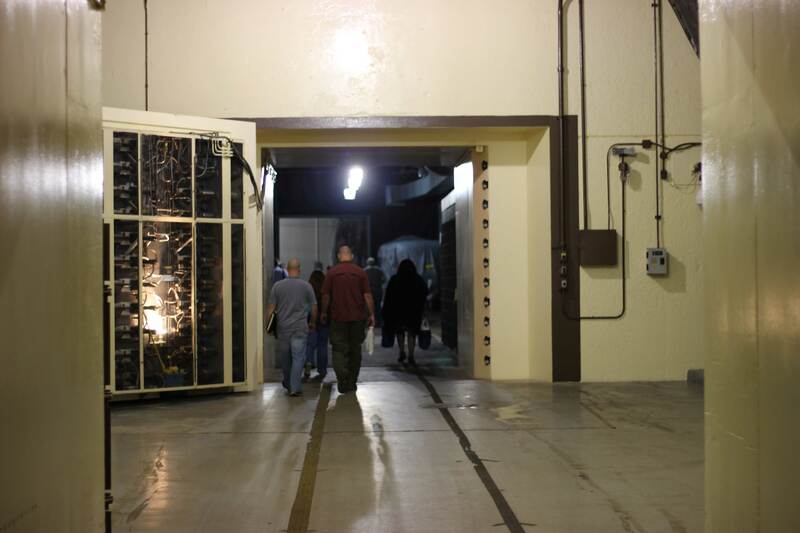 5: The famous blast doors inside Cheyenne Mountain aren’t on the main tunnel. They’re on a side tunnel. Rose explained that if there was a blast, the force would pass through the main tunnel and only 20 percent of the force would hit the blast doors on the side of the tunnel. 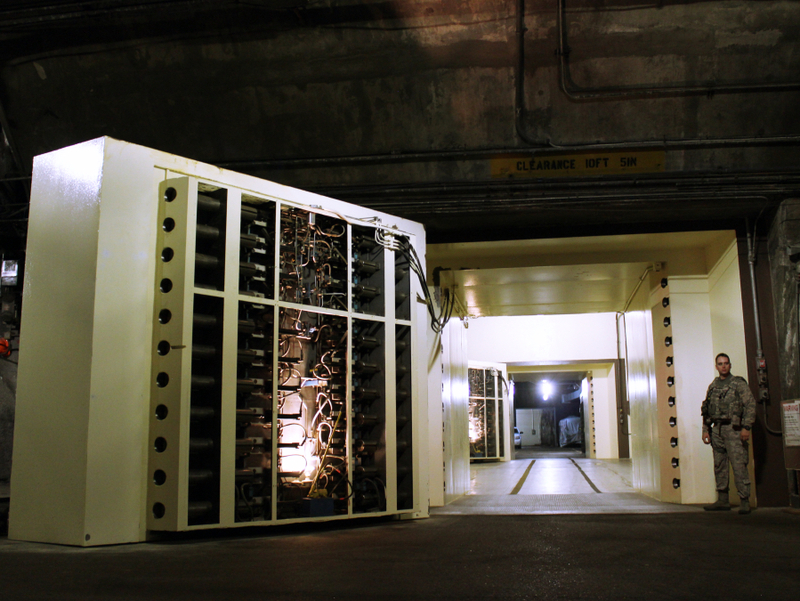 There are two 23-ton blast doors between the main tunnel and the office buildings complex. During the cold war, one door was always closed. That meant workers had to enter through the first door, wait in a middle room for the door to be closed and sealed, then wait for the second door to be opened. The doors were permanently opened in 1992. However, they were closed for a few hours during the terrorist attacks on Sept. 11 and they are closed once a day for testing to make sure they still work, just in case. Secret No. 6: About 350 people work inside the mountain on most weekdays. That number drops to 120 to 130 on nights and weekends, but there’s room for that number to surge in war time, if needed, Rose said. There are workers monitoring scopes and screens, but there are also firefighters, security, medical personnel and other employees working inside. Secret No. 7: The workers in Cheyenne Mountain don’t have windows with offices, because all they would see is a granite wall. However, they do have some perks inside the mountain like a workout facility, spin gym, hospital, chapel, convenience store and more. Rose explained that workers can’t just run out on their lunch break to get a flu shot, attend an Ash Wednesday services, get a quick workout and other normal activities so those activities are brought to them inside the mountain. 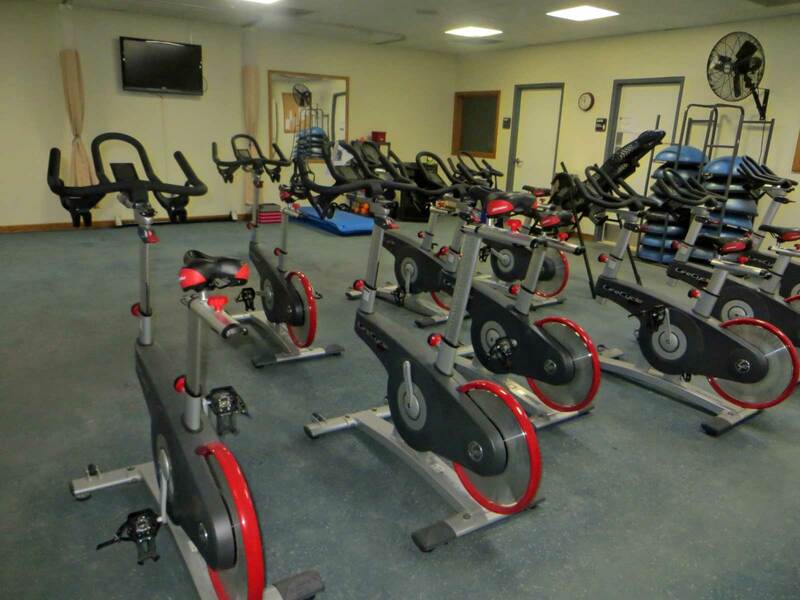 Note, if you look closely at the photo of the spin gym, you may notice hospital-type curtains on the walls. That's because the spin gym can be turned into a triage center, if needed. Secret No. 8: There are 5 lakes INSIDE the mountain. One lake is filled with diesel fuel and it’s sealed behind a closed wall. Cheyenne Mountain gets its power from the city of Colorado Springs. 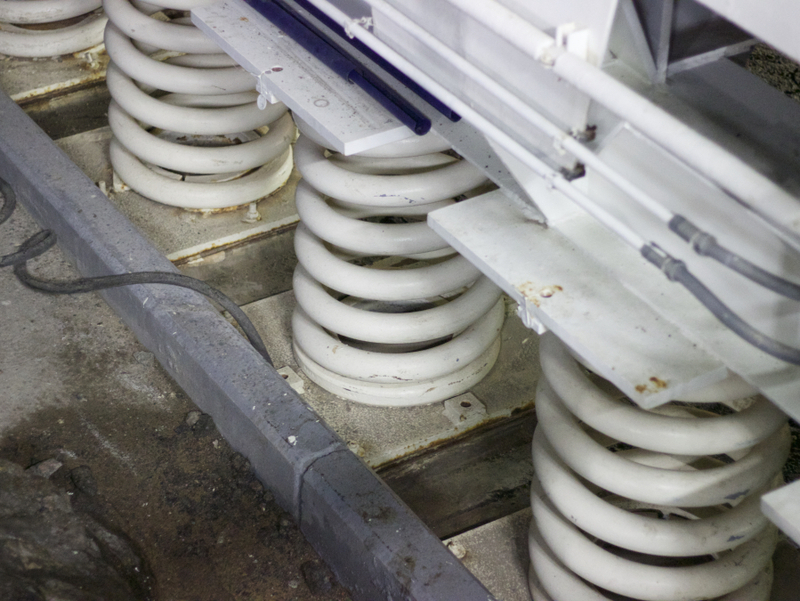 But if the complex had to be sealed off, the diesel would be used to power underground generators. The other four lakes are water reservoirs like you would see outside. One is used for drinking water for the complex. The other three lakes are industrial lakes. The water in the industrial lakes is used during peacetime for firefighting or whatever is needed. In wartime, the lake water could be used as part of a backup heating and cooling system. 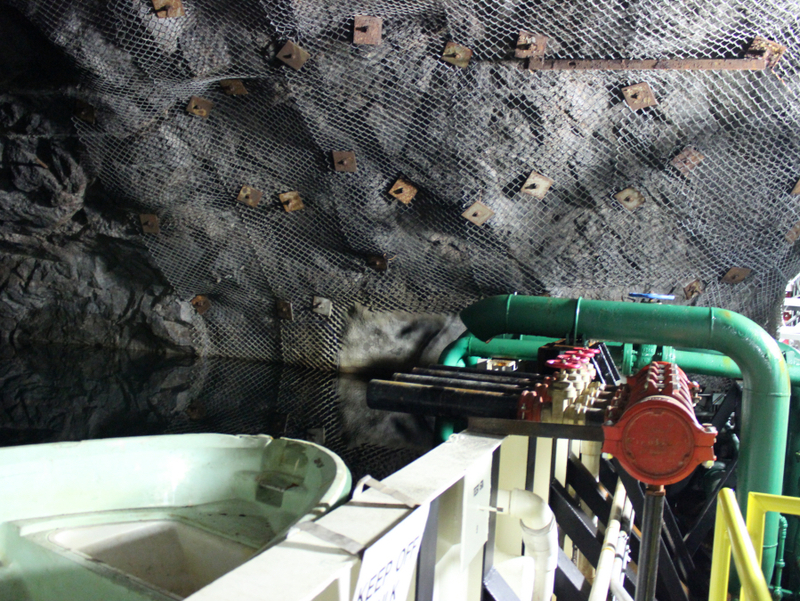 There are even two boats inside the mountain so workers can inspect the lakes, the pipes and the rock walls around the lakes. Secret No. 9: While the complex was designed to withstand a nuclear blast, it’s also ready to handle an EMP or electromagnetic pulse. Rose explained that an EMP won’t affect operations inside Cheyenne Mountain because the buildings are so deep inside the granite mountain. Also, the buildings were built of Navy-grade steel which reflects impulses and shields the equipment inside, Rose said. “We have a high level of protection,” Rose explained. Secret No. 10: The complex was designed by the Navy and mining professionals. Navy ship builders were brought in because the government wanted a design that could “ride out” a blast. The government also wanted to use other knowledge and Navy hardware including the Navy-grade steel. Geology professors at Colorado School of Mines and miners from the Utah Mining Corporation were brought in to turn a mountain into a military complex, Rose said. Secret No. 11: Where did the excavated rock go? It was used for creating a shelf outside the mountain for parking lots, roads and more buildings. Secret No. 12: Speaking of outside, workers have to be on the lookout for wild animals. Cheyenne Mountain is a Colorado mountain in a forest and workers have seen two mountain lions, a momma bear and two cubs, three dozen wild turkeys and countless deer. Secret No. 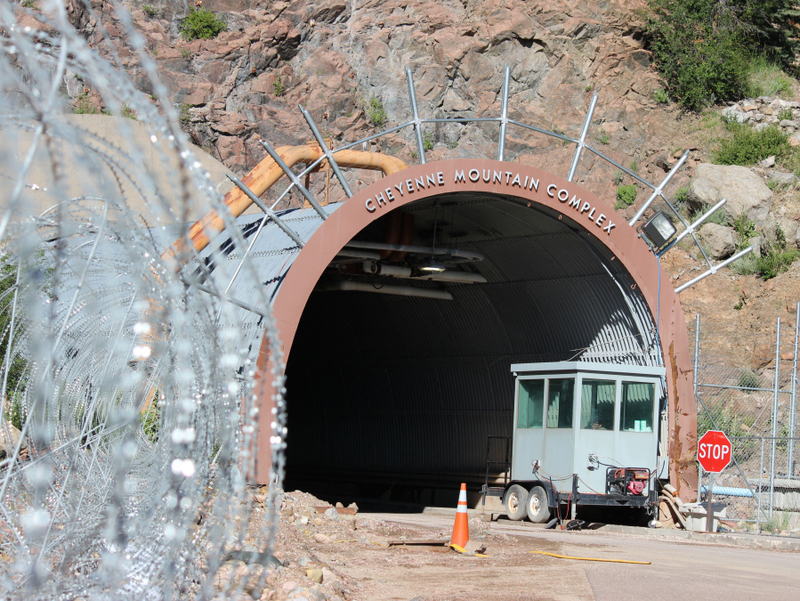 13: Movie fans, survivalists and even doomsday “preppers” do come to the gates at Cheyenne Mountain Air Force Station, but they don’t get in and they don’t even get to see the famous entrance into the mountain. The official, guarded entrance station is about 1.5 miles away from the famous mountain entrance. Cheyenne Mountain did offer tours to the public. In 1997, they were giving 800 tours a year. However, the tours were canceled after 9/11. Arranging a tour for 7NEWS took five months and we were only allowed limited access and very few photos inside the office facilities. Learn more about the history of NORAD and Cheyenne Mountain on the NORAD website . Got a place you want us to go inside and learn the secrets of? Email Debbie@TheDenverChannel.com .